What is Apparatus to accelerate treatment1 ? Apparatus to accelerate treatment1 is a brand new product that can significantly reduces your time in braces or Clear Aligners. Orthodontie1.ch is one of the few offices to offer this treatment. The treatment is so simple and effective that we recommend it to all of our patients who want to finish treatment sooner. Here’s how it works. Clear Aligners and traditional braces are designed to put constant pressure on teeth over a period of time in order to move them. During this process the bone surrounding the teeth is actually reshaped (or remodeled) to accommodate tooth movement and to stabilize the tooth in the new position. Scientists have recently discovered a simple method to accelerate the process of remodeling bone: simply expose the teeth and gums to high-frequency, gentle vibrations. Apparatus to accelerate treatment1 does just that. Apparatus to accelerate treatment1 is a mouthpiece attached to an electronic device that the patient wears for just 20 minutes a day. The device sends vibrations through the mouthpiece to the teeth and gums. These vibrations are not painful and feel something like an electronic toothbrush. This simple procedure accelerates tooth movement by enhancing the force applied by the braces. Apparatus to accelerate treatment1 shortens your time in braces or aligners! Braces or Clear Aligners are already designed to straighten teeth, and Apparatus to accelerate treatment1 (used in conjunction with braces) shortens treatment time by 30-50%. Clinical studies show that Apparatus to accelerate treatment1 is safe and effectively accelerates tooth movement so that treatment time is decreases by 30% - 50%. The device itself is lightweight and is comfortably worn. You can continue to do daily activities--like reading, doing homework, watching television--while wearing the device. There is also a travel unit available with a portable charging unit. So, if you’ve got a busy life that takes you away from home, you can easily continue your Apparatus to accelerate treatment1 treatments. The result is that your orthodontic treatment is finished quicker and you will have a straighter smile sooner! Dr. Mark Kurchak was one of the first orthodontists to offer this new American technology in Switzerland, and only a small number of orthodontists offer the device in their practice. If you are interested in faster orthodontic treatment, come in for a free consultation to get more information as to how quickly you can have a beautiful smile! The heart of Apparatus to accelerate treatment1 , the small, lightweight Activator generates gentle micropulses to accelerate bone remodeling. It includes a USB interface, which can be plugged directly into a computer to view patient usage history via the FastTrac Report. 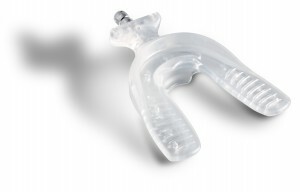 The Mouthpiece provides a comfortable fit and snaps easily on and off the Activator for transport and cleaning.